Well we all know that 50 Shades of Grey is taking theaters by storm. Since that is not really what my blog is about (ain’t nobody want to see that! 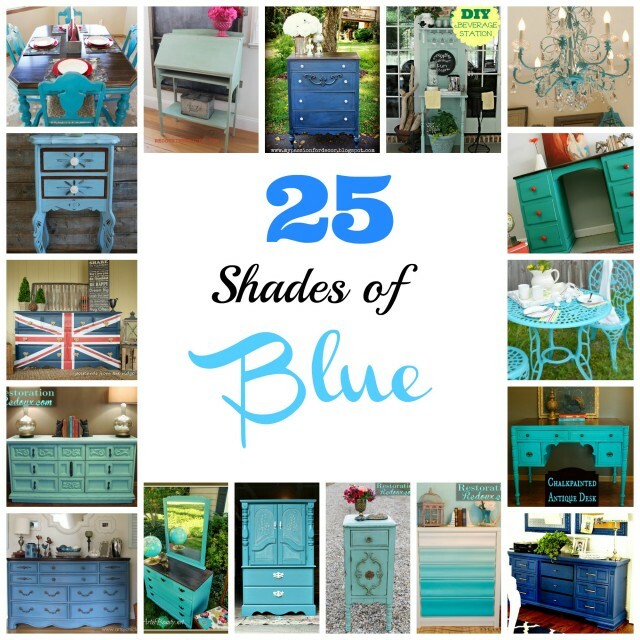 ), I’m doing my own spin with 25 Shades of Blue. 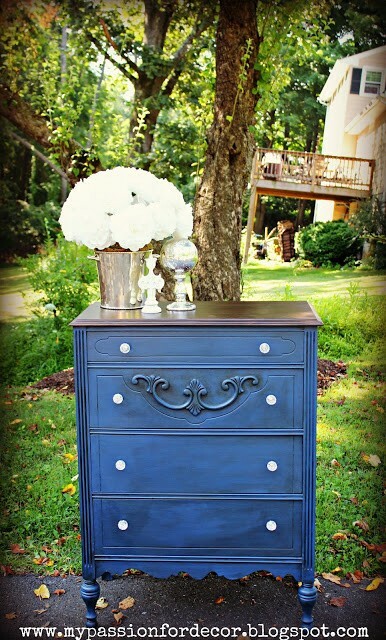 If you follow my blog, you know that I am obsessed with two things: furniture makeovers and different shades of the color blue. I have it everywhere. It’s the color on my walls, my Christmas ornaments, my chandelier, my furniture pieces, and so on. 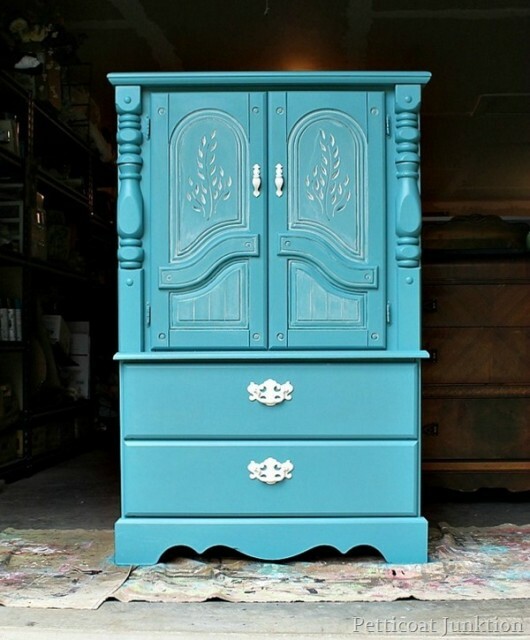 When I first started my furniture booth, I went to load all of the pieces in, and I quickly realized everything was a different shade of blue! I have had to force myself to incorporate other colors. I think we all have colors that we are naturally drawn to, and blue is definitely the one for me. For today, I decided to gather together some of my favorite blue makeovers! 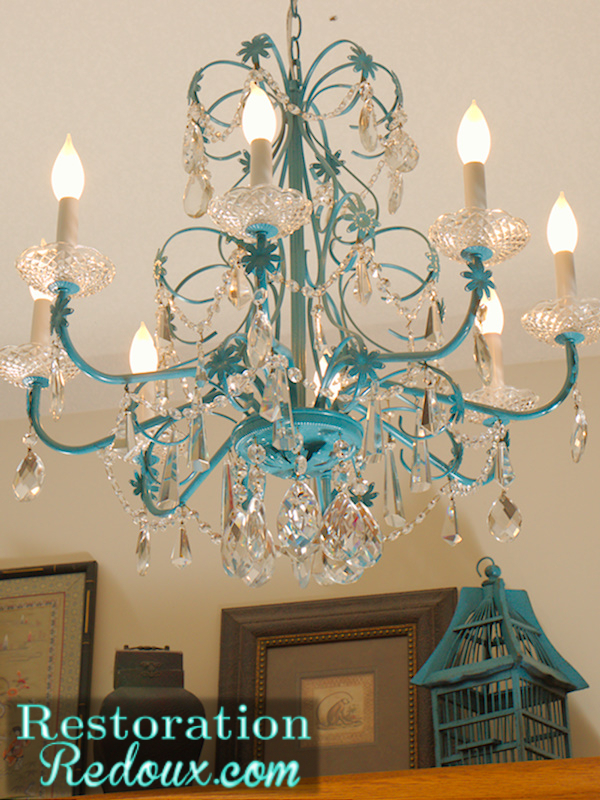 Starting with my most popular post of all time, my blue yard sale chandelier makeover. 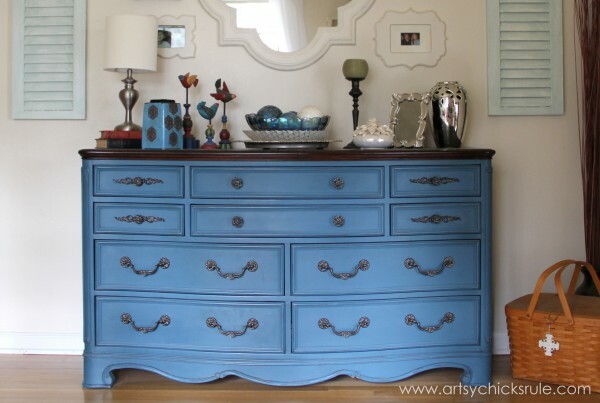 Artsy Chicks Rules Aubusson Blue Dresser Redo is one of my favorites! 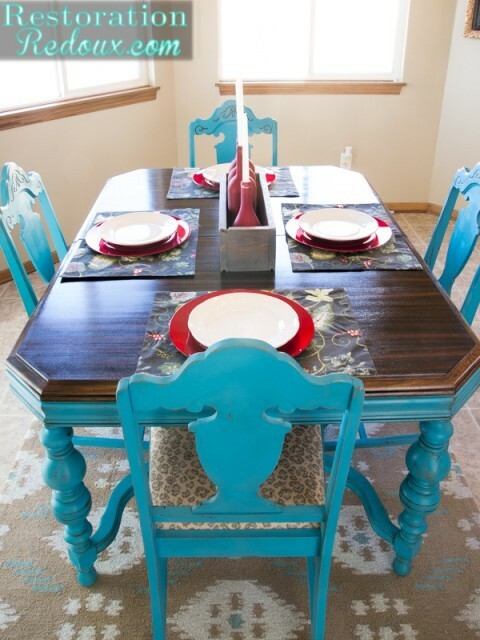 My turquoise dining set … that I loved so much I kept. 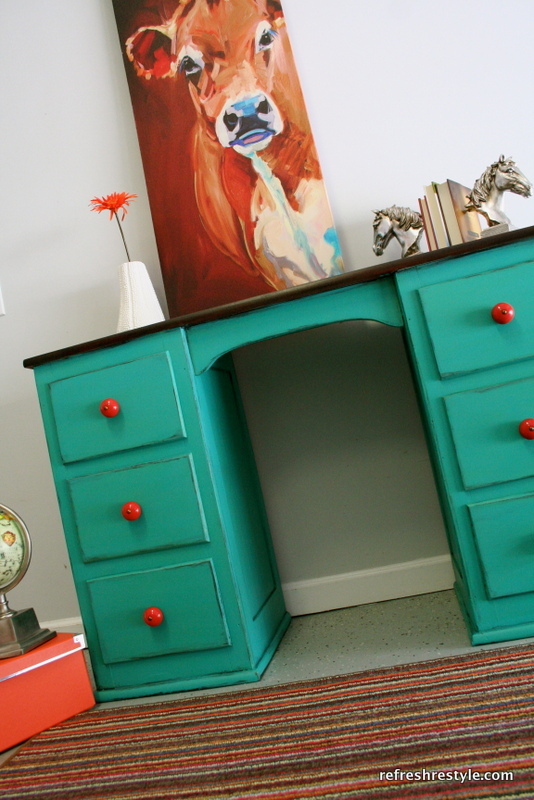 Top This Top That made over a beautiful bold credenza! 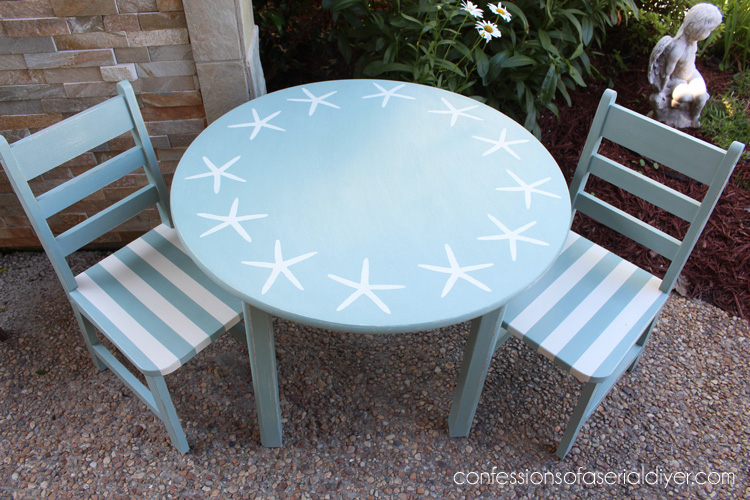 Confessions of a Serial DIYer made over the cutest Coastal Inspired Kids Table! This Turquoise Antique Desk with a stained-wood top was one of my favorites! 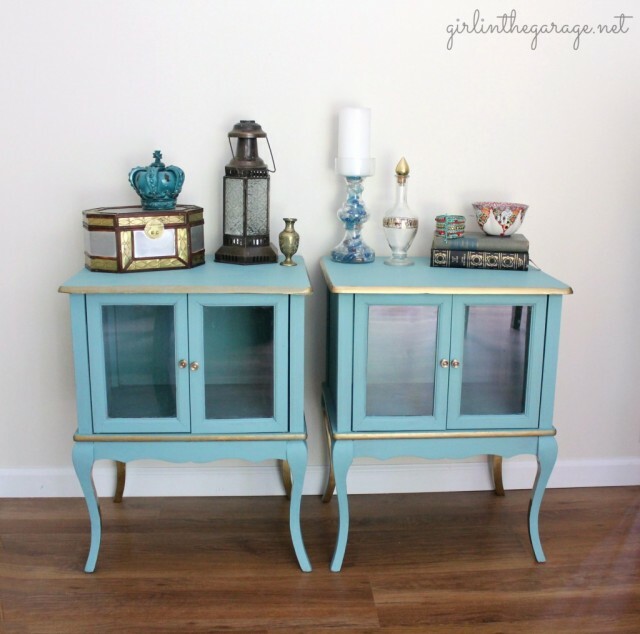 Girl in the Garage’s Gilded Twin Tables turned out gorgeous! This whitewashed turquoise Armoire from Petticoat Junktion is stunning! 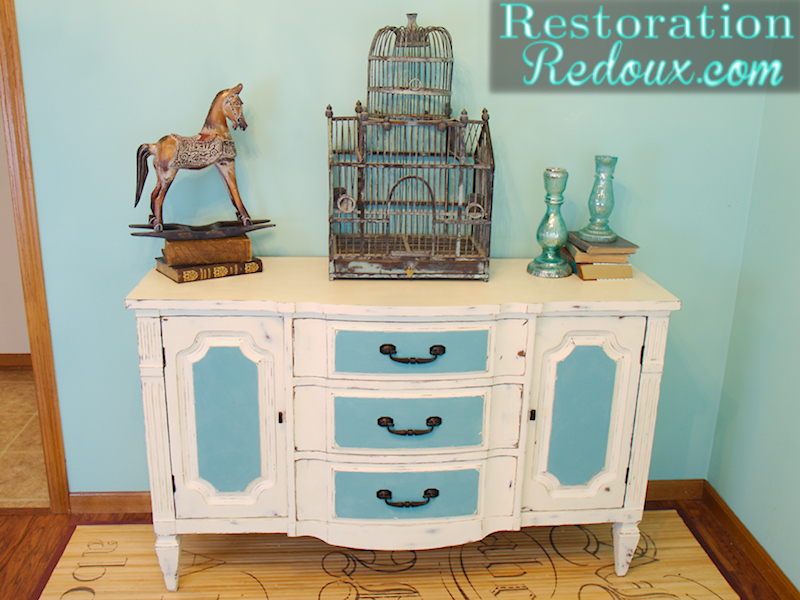 My thrift store buffet makeover added blue details. 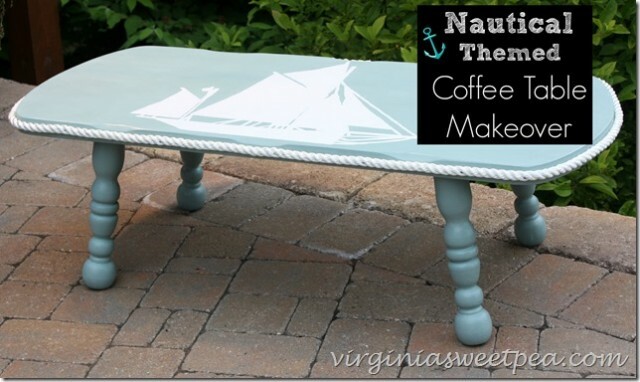 Sweet Pea’s Nautical Themed Coffee Table Makeover is darling! 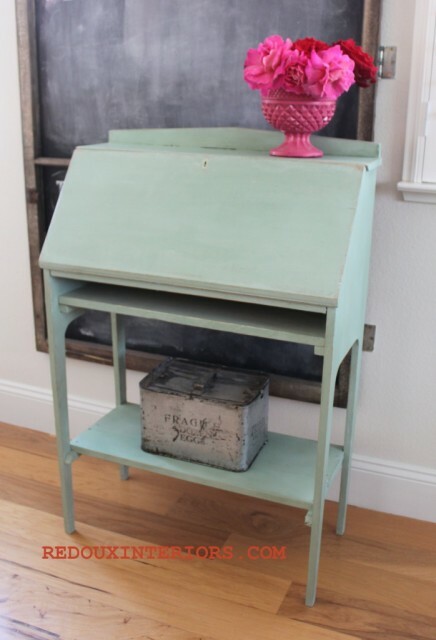 Brepurposed did a gorgeous job on this little vintage table! Redoux Interiors rescued this beauty that had been drowned in years and years of paint. 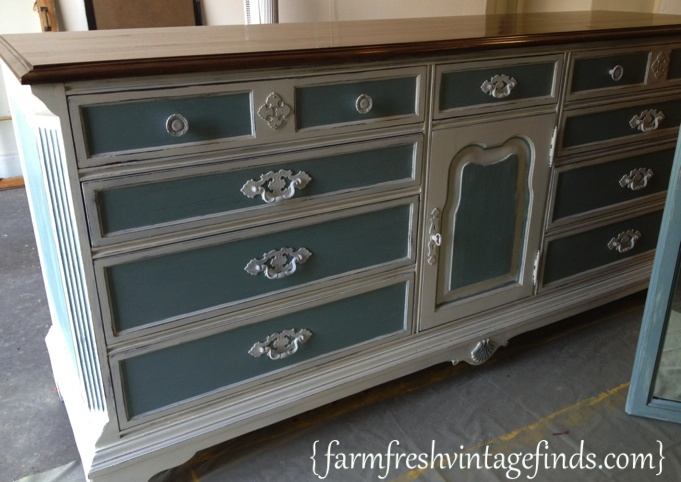 Farm Fresh Vintage Finds did a number on this dresser transformation! 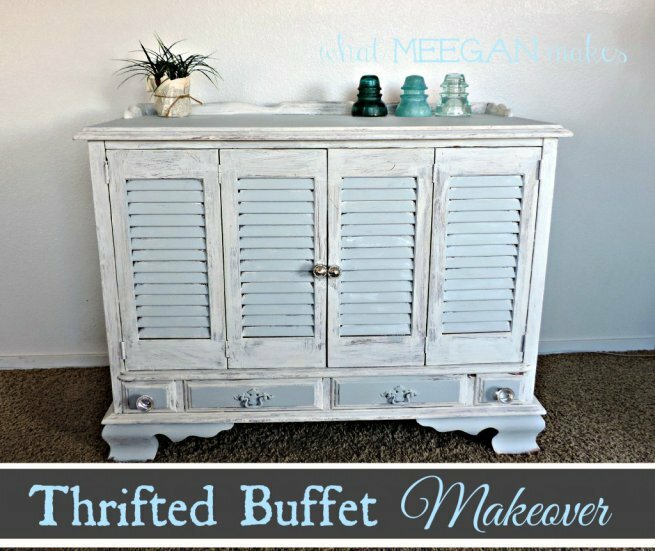 Meegan Makes did a great shabby chic make over on this thrifted buffet. Prodigal Pieces made over this sweet dresser for a nursery. 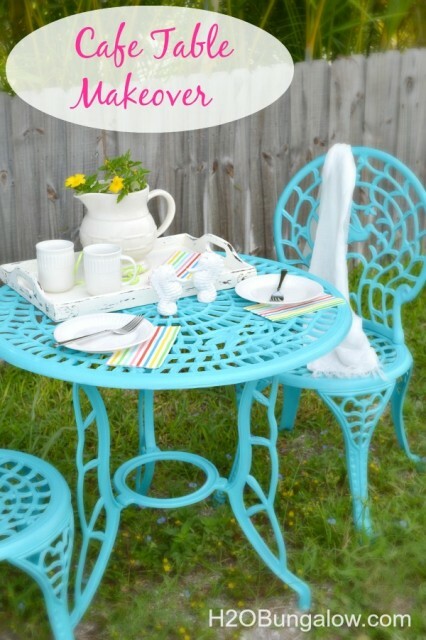 Check out this bold blue Cafe Table Makeover from H20 Bungalow! RefreshRestyle revived this vintage desk using her own custom blend. Postcards from the Ridge did a British take on her dresser makeover. 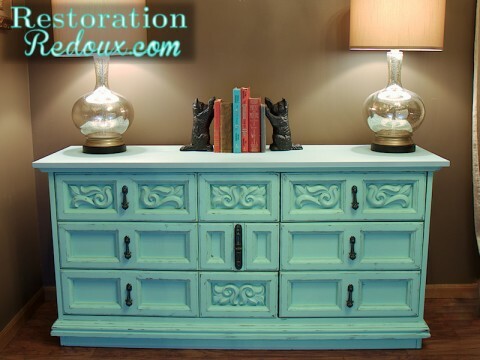 And closing thing out, one of my very first projects was this aqua retro dresser makeover. Good Morning Shanna! Love the blue round-up. I couldn’t pick a favorite if asked. Thanks for featuring my project too. So much amazing inspiration!! Thanks for including my little table 🙂 Have a great day! What a fun collection of beautiful bluntness!! thanks for including my piece. I do love blue!! 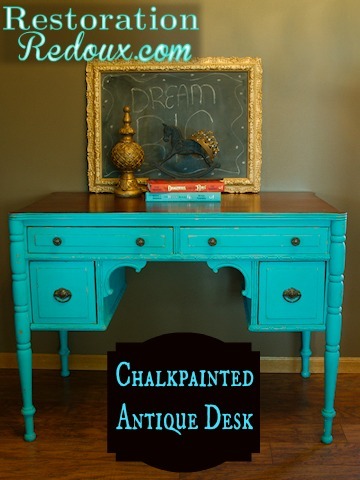 Great roundup, love all the blues 🙂 Thanks for including my desk! Oh so much love in a few photos! I love all shades of turquoise and am currently redecorating much of my home in browns and shades of aqua and turquoise. Thanks Melinda! 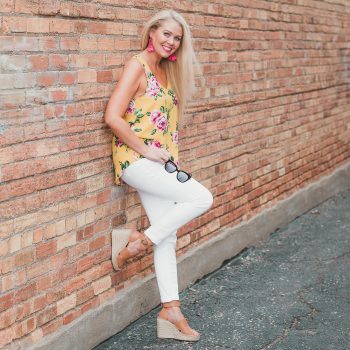 I bet your home is looking gorgeous! How can you go wrong with those colors? 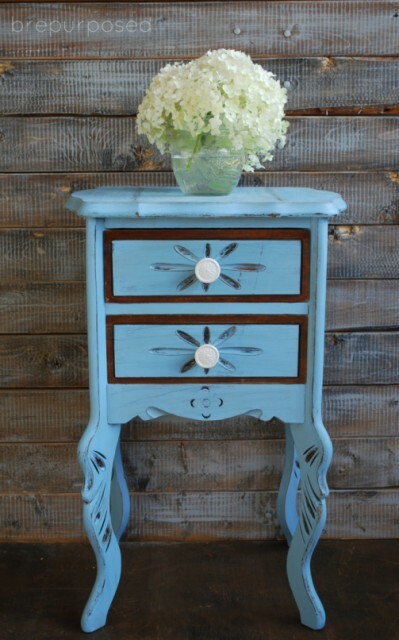 I’m head over heals for blue too, Shanna! 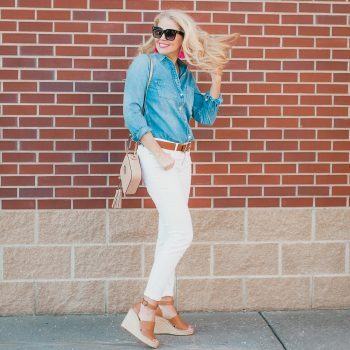 Love your beautiful blue round up. 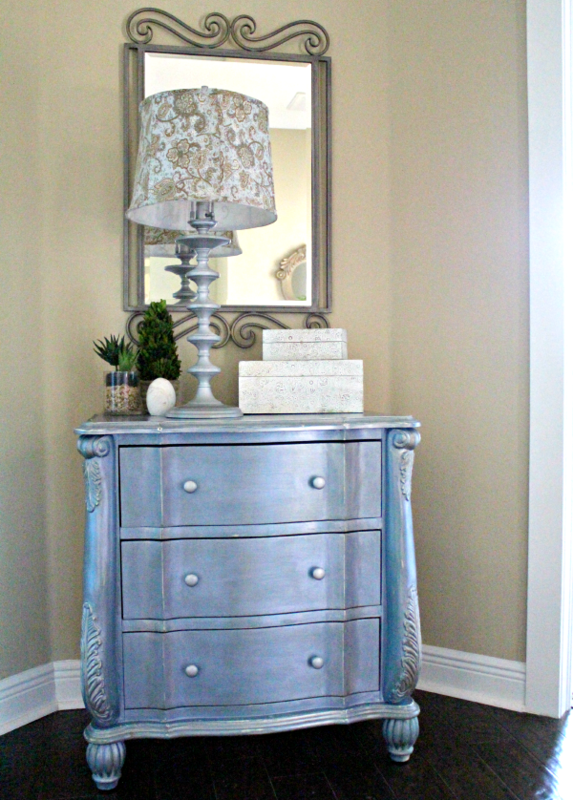 Thanks for including my metallic dresser. 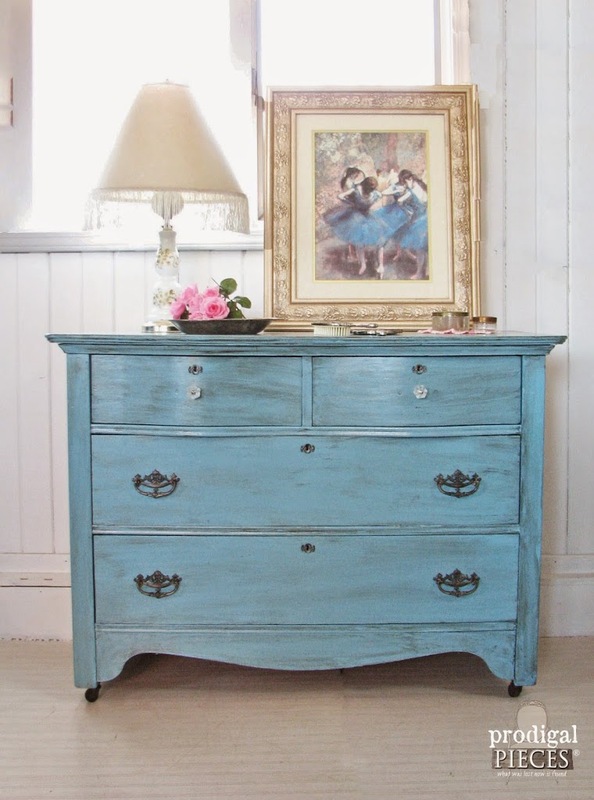 Oh Shanna, what a great collection of blues. Thanks so much for including my Thrifted Buffet Makeover in your post. 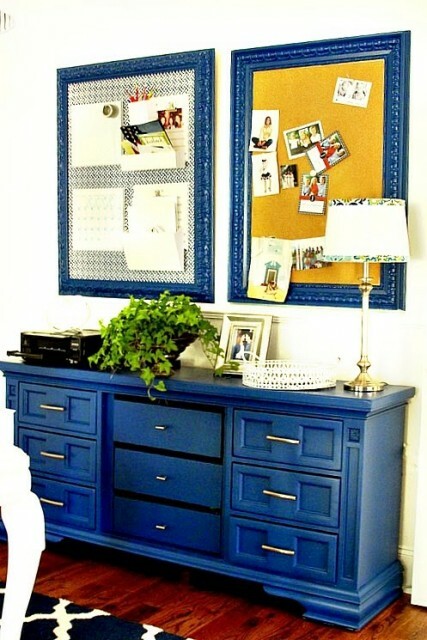 I love me some blue, and I am completely inspired by all of this fabulousness. This is one fantastic collection of blue! 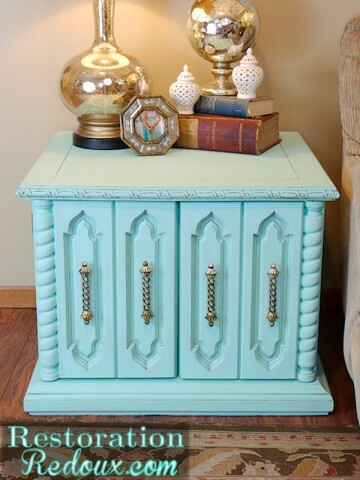 I love the different shades and different furniture items. 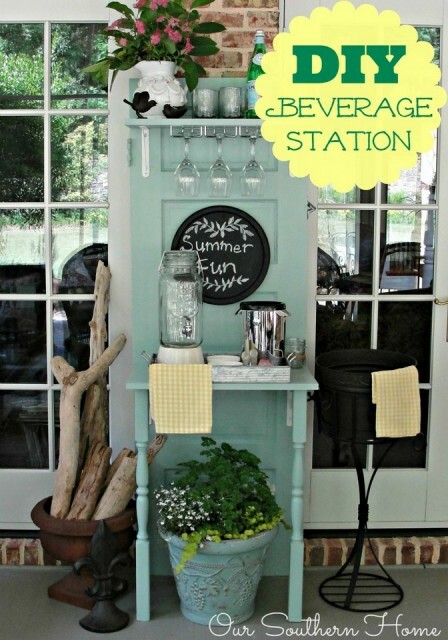 Thanks so much for including my cafe table set in this luscious collection! 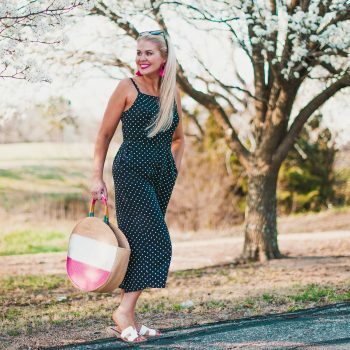 Thank you so much for including me in the round up! 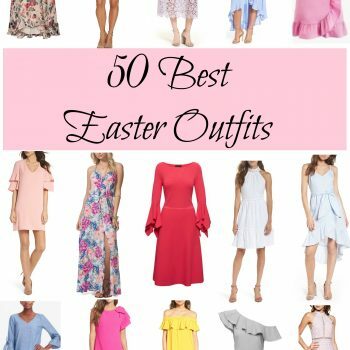 I am so honored to be included with this list. Wow, every one of them are stunners! I love all the different shades of blue, and your opening line totally cracked me up! There’s so much great blue inspiration here. Thanks for including my table. Everyone in the round up is so talented and I am a shades of blue addict. Thanks for letting me use your coffee table Paula! 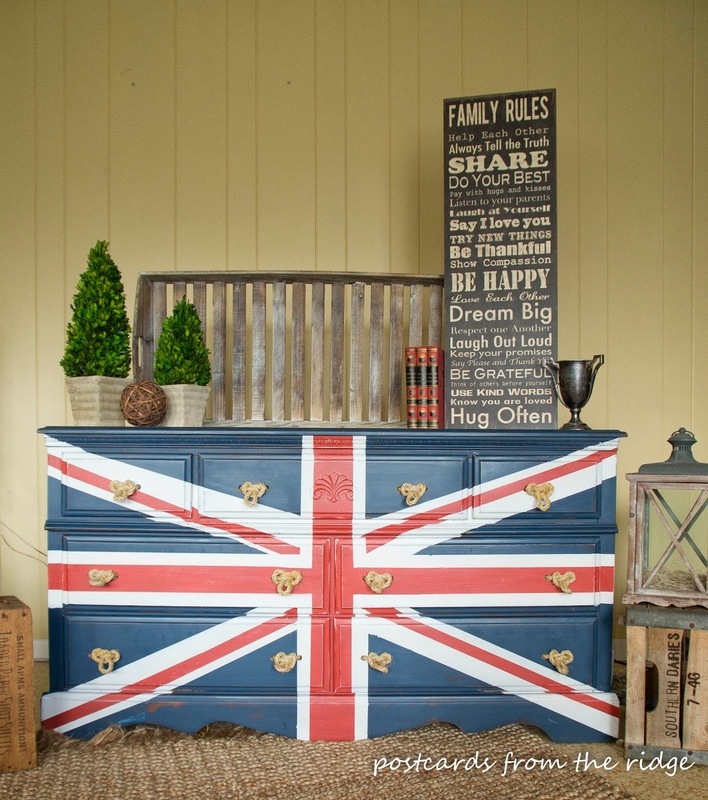 What lovely pieces! I am a big fan of blue and have been looking for a blue/turquoise shade for my Gramma’s old dresser…thanks for giving me some ideas! Thank you Karla! 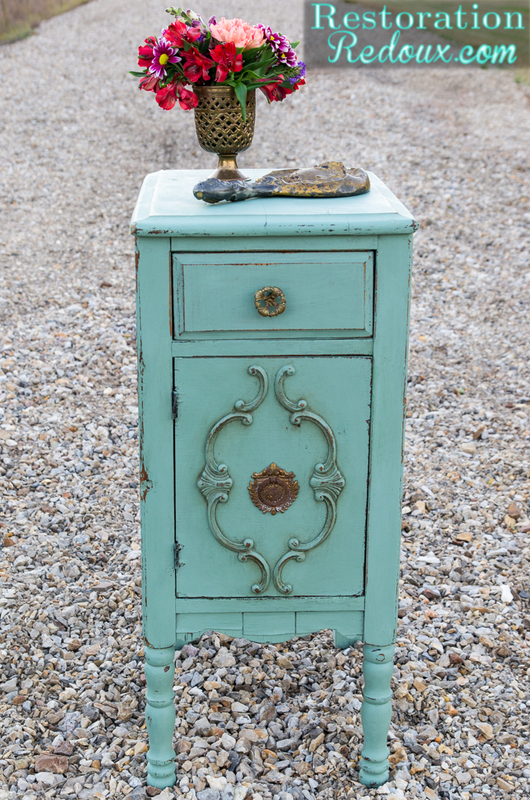 I am a turquoise junkie! I think we are all drawn to certain colors and blues are certainly mine. 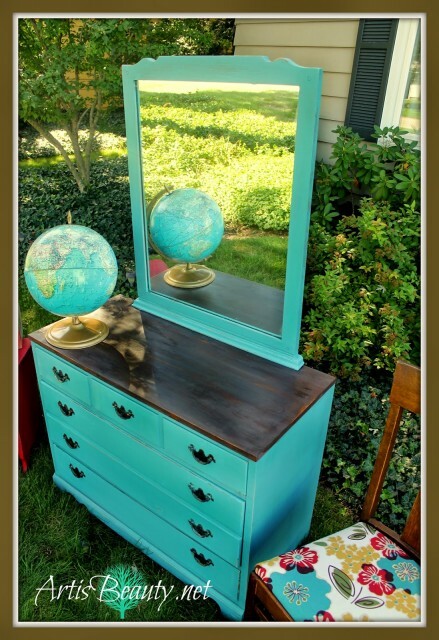 You should email me a pic of your dresser. I would love to see it!